On August 7th, 2017 the Oklahoma Sheriffs’ Association hosted the annual Pistol Match at the Oklahoma County Sheriff’s Office Training Facility. 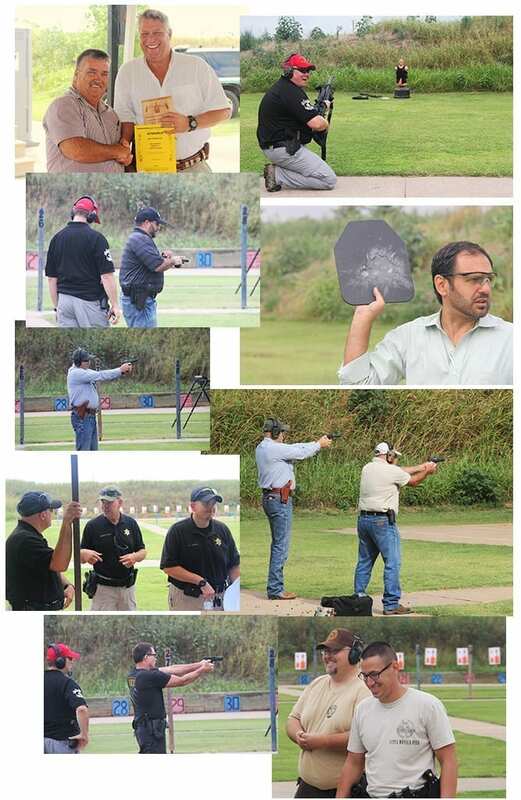 The Pistol Match is a Firearms Competition for the Sheriffs, Undersheriffs, and Deputies of the Sheriff’s offices across Oklahoma. Additionally, Buffalo Armory provided a demonstration of their armor at the Pistol Match and did a door prize drawing for three of their Hard Armor Plates. The OSA would like to thank the Oklahoma County Sheriff’s Office for the use of their facility, Buffalo Armory for their time and donations, and of course all of our participants. Congratulations to all of our winners! 1st – Deputy Nick Myers, Payne Co. & Sheriff RB Hauf, Payne Co.
2nd – Sheriff Johnny Christian, Bryan Co. & Undersheriff Jeramy Rogers, Dewey Co.
3rd – Deputy Bill Myers, Payne Co. & Sheriff Chris West, Canadian Co.
1st – Sheriff Johnny Christian, Bryan Co.
2nd – Sheriff Clay Sander, Dewey Co.
3rd – Sheriff Chris West, Canadian Co.
1st – Undersheriff Tim Donaldson, Lincoln Co.
2nd – Undersheriff Terry Gouker, Seminole Co.
3rd – Undersheriff Tony Taylor, Atoka Co.
1st – Deputy Nick Myers, Payne Co.
2nd – Deputy Bill Myers, Payne Co.
3rd – Undersheriff Jeramy Rogers, Dewey Co. This entry was posted on Friday, September 8th, 2017 at 8:12 am and is filed under Conference, Events . You can follow any responses to this entry through the RSS 2.0 feed. Both comments and pings are currently closed.